With Christmas decorations hitting the stores by Halloween, it is already time to start thinking about holiday shopping. Black Friday, the day following Thanksgiving and the biggest shopping day of the year, has a small-scale counterpart that has gained momentum in the last few years. Small Business Saturday, started by American Express, first began in November 2010. It was the counterpart to Black Friday and the internet shopping day of Cyber Monday, the Monday following Thanksgiving. The idea behind Small Business Saturday is to encourage shoppers to spend money closer to home at independent, locally-owned businesses. 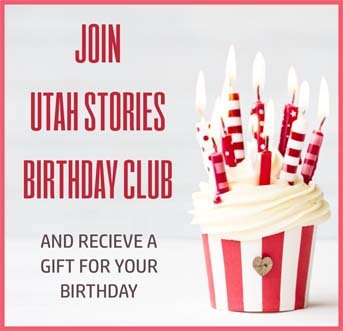 Guided by the same focus is Local First Utah, a non-profit that promotes local, independently-owned businesses, with their “Shift Your Spending” campaign running from November 29 to December 6. According to Nan Seymour, executive director of Local First Utah, “Shift Your Spending” is the regional answer to Black Friday. It asks consumers to channel 10 percent of their consumer spending from chain stores to independent local retailers. Small, locally-owned businesses provide exponential growth to the local economy. Winterton explained that in the last three years, local independently-owned businesses added over 300 jobs to the local economy with the possibility of adding at least 200 more. “People fail to recognize what small businesses bring to the community and economy, and they often have a hard time getting capital,” he explained. 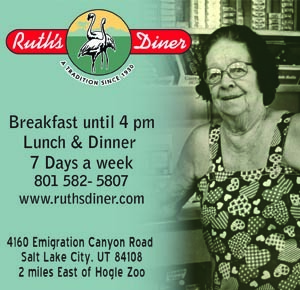 Utah’s Own helps locally-owned businesses with cooperative advertising and marketing. It also helps businesses raise awareness about their products and company within the state, nationwide and internationally. Consumer effort also needs to become a big part of buying local. Asking about local products in stores, shopping at farmers markets and questioning where food comes from while eating at a restaurant are keys to keeping local dollars in the local economy. “When we buy national brands, that money leaves the state to pay for schools and roads [in another state]. It doesn’t make sense,” Winterton explained. According to a study by Civic Economics, for each dollar spent at a national chain in Utah, 13.6 percent goes back into local circulation. However, for each dollar spent at a local independent business 55.3 percent circulates back in the community. Local restaurants return an average of 69.1 percent of money to the community, as opposed to 30.4 percent from chain restaurants. According to Local First Utah information, if all households in Utah annually earmarked 10 percent of their spending for locally-owned businesses, $1.3 billion currently leaving Utah would stay in the local economy. According to Seymour, independent businesses in communities with a Buy Local First campaign reported an average revenue growth of 8.6 percent in 2012, as opposed to a 3.4 percent revenue growth in communities that don’t have a local campaign.